You would assume when a franchise as popular as James Cameron’s Aliens is combined with Gearbox Studios development quality, the final product would be nothing short of spectacular. Unfortunately this isn’t the case with Aliens: Colonial Marines which is a woeful misrepresentation of the rich heritage behind Aliens and the quality of game development we’ve seen from the company behind the Borderlands series. There is nothing here that you’ve not experienced before and small glimmers of hope do nothing more than frustrate as you see what could have potentially been an awesome title, fall short of greatness. Colonial Marines acts as an unofficial sequel to James Cameron’s 1996 classic with the plot beginning approximately 4 months after the events on LV-426. While the story pays homage to some iconic characters, events and scenarios, very little positive can be said about the original content provided here. In fact probably the best part of Colonial Marines is the occasionally well placed Easter Egg that may have die-hard fans grinning as their nostalgia grows for the series. While the story is set throughout some well-developed locations, the 6-hour or so campaign has little thrills to offer. This is largely the fault of terrible AI in the form of the Aliens themselves. Everything we’ve learned about the Xenomorph (hunts in packs, clever, lurks and waits to ambush) is completely thrown out the window as mindless Aliens run at you head on like a bull seeing red as you devour wave after wave with an almost never ending supply of weapons. The terror and desperation that Xenomorphs cause us to feel when we watch the movies has been completely omitted and the end result is nothing more than a run-of-the-mill generic first-person shooter. It doesn’t help either that classic FPS clichés have also been implemented like the ability to carry more than 2 weapons thus making you an almost invincible killing machine. Upon reaching the end you find nothing more than a convoluted and frustrating attempt to close off what was supposed to be a sequel of sorts that paves the way for obvious downloadable content to finish off this mess. One of Colonial Marines’ strong suits is the cooperative and multiplayer elements. As poor as the campaign is, playing with up to 4 friends does provide some fun – especially if you’re willing to overlook the obvious flaws present. It’s just unfortunate that bar the Aliens skin, there’s absolutely no reason to play this over say for example the Borderlands series or something like Left 4 Dead. 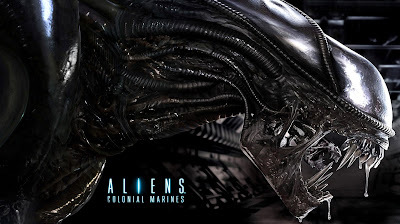 Speaking of Left 4 Dead, Colonial Marines provides a competitive multiplayer mode that sees a group of soldiers fight their way to an extraction point while the opposing group of Xenomorphs tries to stop them reminiscent of the Zombie survival shooter. This is probably the closest this game ever gets to adrenaline fueled gameplay and it’s a shame that the lack of level variation makes this game mode stale before long. If after all this you’re still thinking that you might give Colonial Marines a whirl then make sure to do yourself a favour and if possible, play the PC version. While we’ve all come to accept PC’s superior graphics in ported games, Colonial Marines PC port shows off superior quality across all areas of this game. This is largely due to the console versions of the game being strung together by a different studio as opposed to the PC version. The result is an even more sub-par experience on PS3, WiiU and 360. Ultimately Aliens: Colonial Marines is such a disappointment that it’s difficult to funnel all the flaws into one coherent sentence. The campaign is short, repetitive and not structured efficiently for cooperative gameplay. The multiplayer lacks any form of replayability beyond a few initial attempts. What’s perhaps most frustrating of all is the horrific use of one of science fiction’s most renowned licenses. James Cameron should feel ashamed that his work of art is in any way related to this drivel. Generic run-of-the-mill FPS gameplay coupled with a few admirable attempts at shifting the gameplay and creating some tension in what is supposed to be a horror-themed game. There is nothing here that you have not experienced before and to a better standard. What a shame. Visually the license is used quite well with some key locations really bringing out some nostalgia. However, this is all let done by really poor development quality, especially on the home console versions with technical issues across the board. The game wants you to play cooperatively with friends but the campaign doesn’t even feel designed to hold so many players at once. There’s not much reason to come back to the campaign after an initial painful play-through. The multiplayer as well leaves you wanting a whole load more. What a shame. That’s all I have to say. Aliens: Colonial Marines had so much potential especially taking into account the long development cycle it went through. The final product not only insults the Aliens franchise but also discredits Gearbox Studios who less than a year ago brought us what was in my opinion 2012’s game of the year: Borderlands 2. How could so much possibly go wrong with the same formula? Just change the skin of the enemies and repackage Borderlands if you ran out of ideas! Very few can dispute that the video game industry has certainly begun 2013 with a bang. With a host of top quality titles hitting shelves it’s difficult to decide where to invest your money. Fortunately for PlayStation 3 owners, this is a no brainer. Ni No Kuni: Wrath of the White Witch is an exceptional Japanese role-play game that will capture your heart and imagination in its vast world full of wonderful characters. Ni No Kuni’s wonderful tale centres around a young boy named Oliver, whose destiny is to save the world. The story can never be that simple though with Oliver forced to travel into an alternate world not only to fulfil his destiny but to save his mother who sacrificed herself to keep him alive. The opening segments of Ni No Kuni really put in context Oliver’s untroubled and carefree life prior to his adventure, and Oliver’s transformation into a powerful wizard is enjoyable to watch and partake in. Although Ni No Kuni is a little slow to take off, once you meet the Lord High Lord of the Fairies Mr. Drippy, your journey really begins. Entering Mr. Drippy’s world opens an expansive and wonderfully designed landscape for you to explore and for this glorious story to unfold. The terrific voice acting and hilarious dialogue ensures that not only are the conversations between Mr. Drippy and Oliver amusing, but the same applies to each and every character you meet and engage with. Eventually you are given the opportunity to explore the gameplay and just like any other solid J-RPG, this side of the coin certainly does not disappoint. Ni No Kuni strikes a balance between turn-based and continuous combat (the action pauses when you change characters or alter tactics but when you choose moves or attack combat is ongoing). At first you can fight with just Oliver as he bashes little monsters with his wand or casts a variety of different spells. Very quickly though you are introduced to Ni No Kuni’s core gameplay mechanic, Familiars. Resembling Pokemon (amazing right?) Ni No Kuni allows players to capture monsters known as Familiars and use them to do battle. They range in type, element and all those awesome variations you’d expect along with different moves and even evolutions! Each character can hold up to 3 Familiars and one can be used at a time per character in battle. When you send out a Familiar you take control of it and begin attacking. With so many to capture you’ll be hunting for the perfect team to compliment each of the characters you meet along the way and make the most dangerous and effective teams. Naturally as you progress through the game you gain new allies that expands your party and allows you to carry and use more Familiars. On top of that characters learn powerful new magic to help supplement the battle as well the Familiars themselves evolving into powerful new creatures that aid against the game’s more powerful foes come nearer to the end game. As fantastic as this system is, there are few issues that keep this from being a true joy to behold. Ni No Kuni does force some hefty grinding on you and the difficulty curve between some foes and areas is quite painful. When Familiars evolve they are actually degraded all the way back down to level 1. While they boost back up quite quickly it’s still a nuisance because for that period of time your new Familiar is pretty much useless. Fortunately all Familiar’s receive experience points even if they don’t battle so you can just have one sitting in your party of 3 taking in all the exp. without worrying about getting slaughtered by higher-level enemies. It’s also frustrating that unlike the Pokemon games, some Familiars are just plain useless, even after they’ve been levelled up and evolved, so make sure to try and choose your Familiars carefully, even though a bit of guess work might be forced upon you. Despite these minor issues it’s a whole load of fun getting into battle and micromanaging your groups of characters and the Familiars they are using. Combat is often frantic, tactical and challenging, meaning you will have to earn victories as you progress though Ni No Kuni. From a technical perspective Ni No Kuni is absolutely remarkable, but could you expect any less from a game visually developed by Studio Ghibli? The highly credited Animated Movie Company have really outdone themselves with the stylistic treat that is Ni No Kuni. The visual style is a joy to behold from each and every character to each and every environment. It doesn’t matter if your traversing a volcano or a quiet meadow, beautiful and vibrant colours loom out of your screen and are supplemented by a wonderful orchestral score that will stay with you long after your time with Ni No Kuni. Unfortunately there’s no guarantee Ni No Kuni will be leaving your PlayStation 3 any time soon thanks to an outrageous amount of content available throughout. On top of the well-paced story there are a host of optional side-quests for you to partake in. These are cleverly designed with each quest providing you with a goody and a set of stamps for your stamp card. Once you collect 10 stamps you get 1 token and you can exchange tokens for abilities like extra health orbs appearing during combat or the ability to sneak up on enemies more effectively for a surprise attack. As a result you’re almost inclined to 100% as many side quests as possible before you move on from city to city to ensure you have an advantage for the rest of your journey. Just as the prizes differ so do the missions – players might have to perform a menial task like finding 3 pigeons for a little boy in a city to destroying an enemy with a bounty on its head. Oliver also has the ability to take excess nature from townsfolk like happiness, restraint and courage and a lot of side quests will ask you to pass on these natures to help those in need. Ultimately little can be said to really fault Ni No Kuni: Wrath of the White Witch. The Japanese role-play game genre has certainly been waiting for a revival of sorts and the only shame here is it’s only available for PlayStation 3 owners. This is a remarkable journey that successfully provides the three key components one hopes for in a role-play game; story, gameplay and content. These are all here with plenty more and you’d be foolish not to join Oliver in what will undoubtedly turn out to be one of 2013’s most exciting journeys. Ni No Kuni boasts a wholly entertaining and engaging combat system that unfortunately lacks a little bit of balance when it comes to leveling up and progressing through the game’s difficulty curve. Despite this small issue that forces players to grind a little bit more than you’d hope, action is varied, tactical and plenty of fun. Outside of battle everything you do and everyone you interact with is an absolute joy. Studio Ghibli have presented Ni No Kuni in an absolutely stunning way. Even the most minute details are filled to the brim with vibrant colours and personality. Every character you meet and every environment you explore will have you oo’ing and ah’ing your way through Ni No Kuni. With so many different Familiars to capture and train along with a whole host of side quests available, you’ll be playing Ni No Kuni days after you completed the 40 hour or so story line. The Japanese role-play genre needed a solid revival and from that perspective one could not have asked for a better title to do the trick. There’s simply nothing un-enjoyable about Ni No Kuni: Wrath of the White Witch – every second you spend with this game is absolutely thrilling. 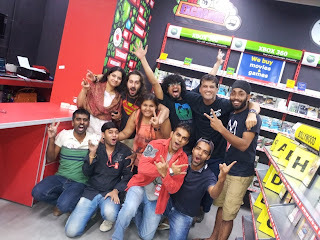 Check out our CeX Vlog - HTC One X review on our brand spanking new YouTube Channel! The eagerly anticipated third instalment in EA’s critically acclaimed action-horror franchise returns in triumphant fashion. Dead Space 3 expands upon an already successful formula and incorporates some interesting new ideas including a comprehensive weapon-crafting system and co-op campaign to give players an engaging new way to participate in Isaac Clarke’s third adventure. While there are some underlying issues with pacing and story depth, if you overlook them Dead Space 3 delivers a truly thrilling and well-developed experience that fans of the series will thoroughly enjoy. Your time with Dead Space 3 begins with a recap of the story and an opportunity to get your bearings back as Isaac. Returning gamers will find the ‘Previously in Dead Space’ segment just enough to spark up memories of past titles but newcomers will have absolutely no luck understanding the concept behind the franchise. This poses an immediate question mark and really got me thinking that in terms of story, Dead Space feels rather convoluted. Unfortunately this same principle applies to the third instalment with the story and narrative moving too fast and not allowing you as a gamer to ever really feel invested in the characters and their woes. Perhaps the worst thing Visceral Games did was give Isaac a voice and while the voice acting itself is of a decent standard, you begin falling in an out of paying attention to what our hero has to say. Fortunately Dead Space 3’s gameplay and environments are so good that the lackluster story poses little hindrance to an otherwise incredible experience. It’s really rare for a game that struggles in story telling to still be able to grip you so tightly with the fantastic array of environments you visit. Dead Space 3 sees Isaac travel to the frozen ice planet Tau Volantis, which is a gorgeous visual treat but everywhere you seem to go whether it’s a facility or a cave, it’s truly terrifying thanks to clever lighting and audio. 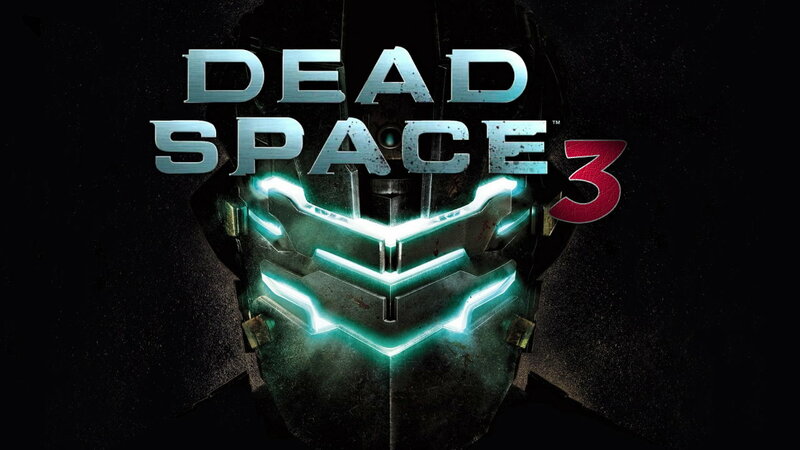 Whether you agree that Dead Space is a survival horror or action horror franchise, there’s little dispute that at times this is a very scary game. One of Dead Space 2’s biggest faults was a serious lack of creativity in comparison to its predecessor; well the third instalment makes sure to implement some cool new ideas that keep this from being more than just another clone. The introduction of a captivating weapon-crafting system finally gives gamers the excuse to stop using just the Plasma Cutter. Although the series’ original weapons make a return, finding loot throughout your journey allows you to marry components from guns together to create some powerful and diverse weapons to help you defeat the Necromorphs. Dead Space 3 also makes sure that you are forced to make full use of the crafting system; where as before any fully upgraded weapon could take down the majority of enemies you are put up against, here different weapons need to be used for particular enemies. This ensures that just like a brand new fad, you keep up to date with all the latest parts you find and make good use of them as you encounter terrifying and diverse new enemies. It’s even more gratifying when games couple fantastic gameplay with terrific set action segments. Although the majority of your time with Dead Space 3 will be spent dismembering Necromorphs, there are key sections that will have you leaping for joy; for example the opening Prologue has a thrilling race against a falling avalanche that was totally awesome. The level of excitement really reminds me of the PlayStation exclusives Uncharted and it’s a testament to video game developers when such fine action moments present themselves frequently throughout one single game. Whether you’re a fan of traditional survival horror or the modern action horror genre, you’ll be subjected to both types of gameplay throughout your time with Dead Space 3. The opening chapters see Isaac battle against enemies with weapons in a much more action-oriented style of gameplay, while latter chapters really begin immersing you in desolate and horrifying locations that function as the survival horror sections of Dead Space 3. There’s a fine balance that keeps action intense while simultaneously dropping you into chapters that are chilling and challenging on the senses. Another significant addition that plays an important role in changing Dead Space 3’s experience is the option to play the campaign mode cooperatively. You lose nothing from the experience going either way, in fact I would argue that some of the horror elements are lost when you have a buddy along for the ride. That being said, some of the game is cleverly designed to implement two people and there’s something really satisfying about finally being able to tackle the Necromorphs with a friend. It’s a shame however that the new character John Carver falls way short of expectation (it’s not surprising considering how high the standard was set with Isaac) but the dialogue between the two fails to really deliver. Dead Space 3 continues to expand in a positive manner by introduction for the first time, optional side missions. Whether you choose to partake in these extra quests really depends on how quickly you want to get to the end of the game and how much extra loot you want to build better weapons. The side missions vary in content, are for the most part interesting and prolong the end of the came substantially totaling up to approximately 20-25% of Dead Space 3’s campaign. From a technical point of view Dead Space 3 really impresses across the board. Visually it’s another truly stunning title, which is nothing less than what’s expected from the series. While the story fails to build any emotional investment the fantastic atmosphere and sound design captivate and begin sending chills down your spine as you dig deeper into Isaac psyche and the perils in store. Most impressive however is Dead Space 3’s excellent gameplay mechanics that are fast-paced, engaging and a whole load of fun. Overall Dead Space 3 is a wonderful package. Some pacing issues throughout the campaign and a weak story are the noticeable disappointments here but they stick out only because everything else is so damn good. Fans of the series will be happy to continue Isaac’s journey but those of you yet to play a Dead Space game need to go back and revisit the first two before you opt for this adventure. Gameplay is by far Dead Space 3’s strongest suit. The addition of an awesome new weapon crafting system ensures players don’t repeat the same nonsensical approach of simply using the Plasma Cutter like in the previous installments. Players now have to tactically think and create appropriate weapons to deal with particular situations. Excellent action segments are spread across a well-developed campaign. You expect nothing less than utter perfection from Dead Space and there’s certainly no exception here. Each and every single environment and character model looks stunning. The ice planet is vast and dangerous while smaller areas are just as dangerous with enemies lurking around every corner. This is a perfect example of how horror is produced through sound and imagery and these two areas are so strong that it easily compensates for the lackluster story. The introduction of co-op pretty much ensures gamers will go through Dead Space 3 a minimum of two times. With so much stuff to find and collect a second playthrough is pretty much essential. Is there enough here to invest gamers for a third time on one of the more brutal difficulty levels? I don’t think so. Die-hard fans of the series will enjoy the challenge but once you’ve seen the ending two times that’s probably enough. Dead Space 3 is another awesome instalment in one of this generation’s most popular franchises. There’s enough interesting new content to keep a formula that’s not known for change, feeling fresh while at the same time providing that familiar engaging and tense experience we’ve all come to know and love. While by no means perfect, it’s absolutely worthwhile to play and see how Isaac’s story progresses. Find your local CeX here. We'll post photos of this beautiful store soon. Just some of the fabulous CeX team who worked night and day to make this happen in Chennai. Pop in and see why we're so excited. Better still bring your old gadgets, phones and games to us for the best cash and exchange prices in the planet. Stay tuned for more exciting developments from CeX in February.